When it comes to preserving food, it’s probably not a topic you’d expect to hear on this podcast. But is should be. You see, if you do the things we teach on this show, videos, and blog posts, you will have a bumper harvest right about now. And you will indeed be thinking (a lot) about preserving the harvest. Theresa Loe is Co-Executive Producer for Growing a Greener World, Founder of The Canning Academy and Living Homegrown Institute, and Host / Producer of The Living Homegrown Podcast. 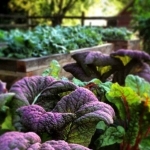 If you find that you too are facing a bumper crop and wondering what to do with it all, you’ve come to the right place. 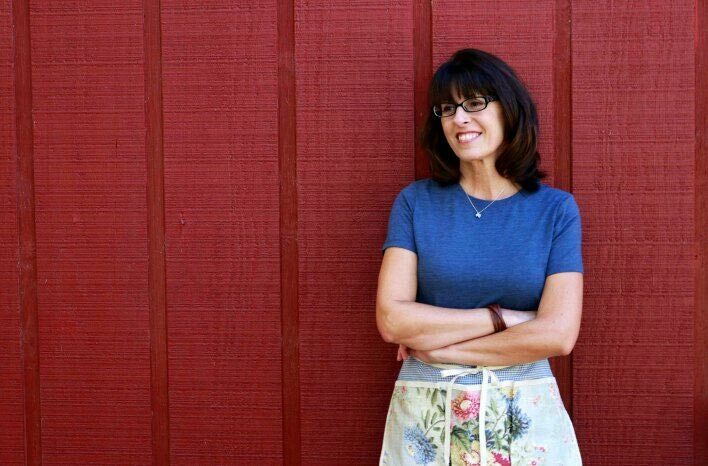 No one knows how to do that better than Theresa Loe – a lifetime canner as well as a graduate of the Master Food Preserver program. She studied both professional culinary arts and sustainable horticulture at UCLA and has a BS degree in Engineering. As Co-Executive Producer of Growing a Greener World, Theresa runs a tight ship on and off the set. Here she’s reviewing details of the production outline with Director of Photography, Carl Pennington, while Host / Executive Producer, Joe Lamp’l pretends to be invisible. Many of you already know her as the Co-Executive Producer of Growing a Greener World and her on-camera role with the show. There she teaches the rest of us simple tips for easily and fearlessly preserving the harvest. 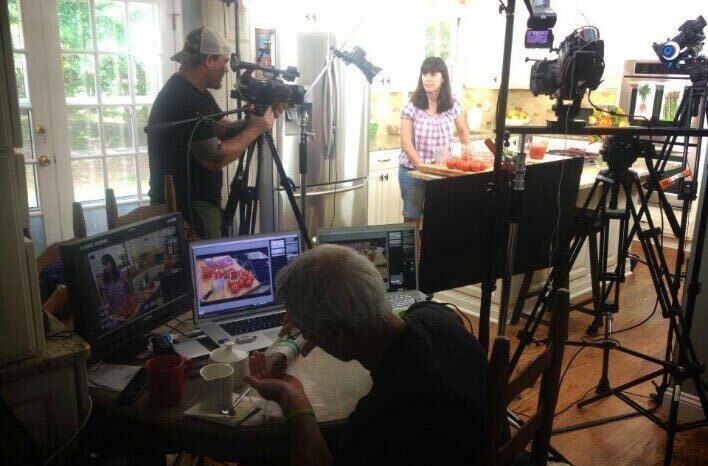 In one of many of her on-camera segments as the canning and food preserving expert for Growing a Greener World, Theresa prepares for her next shoot with Director, David Pennington, while Executive Producer Joe Lamp’l pretends to be invisible (while eating almonds…very quietly). Theresa is also the founder of LivingHomgrown.com and the Canning Academy where she helps people live a more sustainable and delicious, farm-fresh lifestyle without having to buy a farm. Look for all the links below to learn more about Theresa and her programs. 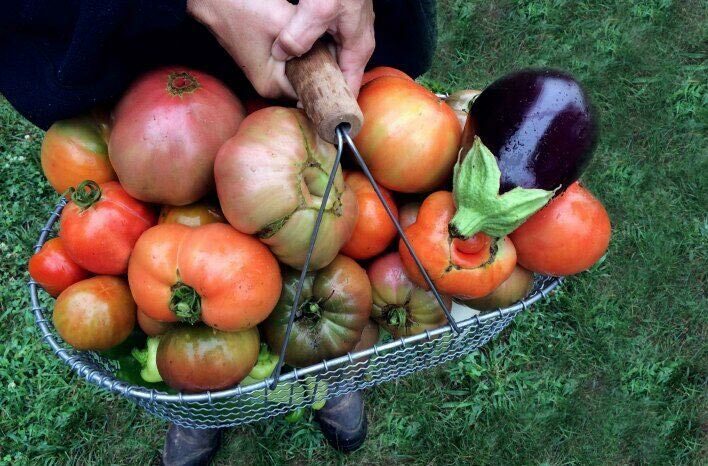 For the produce, you’d like to keep to enjoy that fresh taste of summer all year long, check out these quick and easy ways discussed in the podcast to bank the bounty without the need for any fancy equipment. 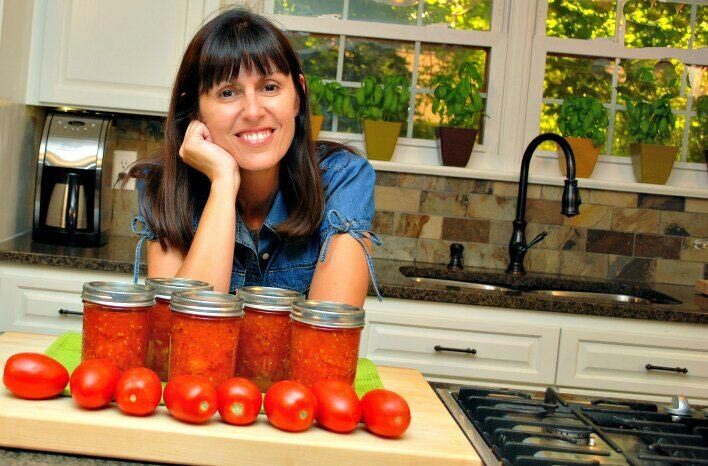 Preserving and canning food is second nature for Theresa. Fortunately, she shares much of her wisdom in her on-camera role for Growing a Greener World. Rinse and dry – don’t core or peel. Place on cookie sheet and freeze. Then pop into freezer bags (can be BPA free). Use in 6 months for best results – they lose texture & can start to get freezer burn. You can do the same way as tomatoes. Slice them in half before putting in freezer (for convenience and ease of use). Peppers are crisper if you blanch them first. Blanch if using for stir-fry. If used for muffins or breads, blanching not necessary because it will be baked. Shred it and freeze in 1-cup increments (muffin tins are an easy way to proportion). Add individual servings to freezer bags and use as needed. Be sure to label bags to note date going into freezing. Theresa’s go to for tomato flavor. Place on parchment paper and drizzle halved pieces with olive oil, salt, and herbs of choice. Roast at lowest temperature (about 7-8 hours at 200 degrees F). Roasting is key to caramelization. Stop roasting before fruit becomes crisp. Theresa cautions not to store roasted tomatoes in oil due to the risk of botchillism (if stored at room temperature). They all need to be cured to toughen the skin. Then they do very well in dry storage. Harvest, cure (clean off dirt but don’t wet fruit to clean. Store in single layers, in a cool and dark is best around 50-60 degrees F.
Brush off dirt and place in a storage container that allows air flow, a covered basket works well. Here a cooler place at 35-50 degrees F will allow them to last for months. Pumpkins & Winter Squash – leave part of stem on. Wipe down with a damp cloth. A warmer location for curing for 10-14 days will toughen up the skin. Then store in a cool dark place. What is a quick pickle? Added vinegar makes the liquid a high acid environment. It’s quick to make and ready to eat in 24 hours. Walk thru a refrigerator recipe and video – the same one that is on our website so you can send them there. Just a kitchen appliance that provides low heat and air circulation provided by a small heating element and a fan. No need for an expensive, fancy dehydrator. Less expensive ones are typically just smaller. Key is proper temperature and time in a dehydrator for your equipment. Variables to ideal time includes thickness of slices of various fruit, equipment, and settings. Dehydrate food to about 95% dry. You want it to be crispy when you finish. Then place in plastic bags and store on shelf or jar. Various slices will balance each other out, so most or all fruit is pliable. If you put all fruit in a bag when still pliable, there will be too much moisture, and they can become moldy. Dehydrated fruit will remain optimal for about six months. 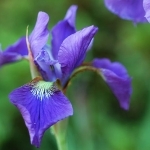 Then start to lose color but still be safe to eat for up to a year. You can place in freezer to extend life and color. While preserving the harvest is great, please consider generously donating much of that bounty to your local food pantry. There are many neighbors in need that you will never know about. 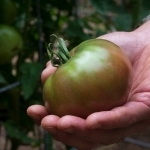 But your homegrown harvest can make a world of difference to hungry families in your community. 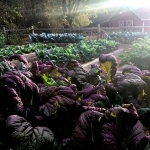 Organizations like AmpleHarvest.org can direct you to donation sites near you, or guide you to where you can find fresh, donated produce to receive as well.